Jeffrey Snyder is currently a contributing photographer to The Blood- Horse magazine & website and has covered The Kentucky Derby, Preakness Stakes, Belmont Stakes as well as The Breeders Cup Championships for them. Jeff recently was a finalist for the coveted National Thoroughbred Racing Association’s Eclipse Award in Photography, and won the Maryland Jockey Club’s Jerry Frutkoff award for photography in 2003. Jeff is the in-house photographer in the DC area for Allied Advertising, handling movie studio clients as MIRAMAX, Disney Studios, FOX, and Paramount Pictures. Jeff has photographed events such as Super Bowl’s, Major League Baseball, Movie Premiere’s, Concerts, and MTV Video Music Awards and more. Besides The Blood-Horse, Jeff’s images have been published in The Washington Post US Weekly, People, Rolling Stone, Variety, In Touch, and USA Today. Jeff is available for assignments worldwide. Contact him by clicking here for rates and details. Stock images are available as well via PhotoShelter.com. 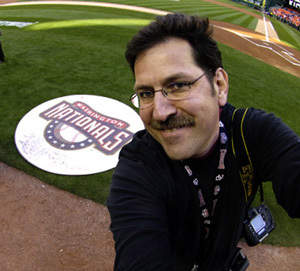 Jeff is also a partner in Washington Photo Workshops, a Sports Photography Fantasy Workshop. Formed in 2006 with Mitchell Layton, participants learn how to photograph Professional & Collegiate sports with professional photographers. For more information, www.washingtonphotoworkshops.com. All images copyright Jeffrey Snyder. Website Designed by heatherlynn.com.